Home > Ask Bruce > Why Do My New Breakers Keep Tripping? We just bought a newly built home. We love the home but are having trouble with breakers tripping. When I turn on my vacuum cleaner the breaker trips. Sometimes, when I use the microwave the breaker trips. When I turn on the lamp in the kid’s bedroom the breaker will trip sometimes. This is a brand new house! Is the wiring faulty and am I in danger? This didn’t happen at our old house. First of all let me say that I understand your frustration! I started wiring houses in the mid ‘80s when the National Electrical Code and residential wiring was quite a bit simpler. We get a new code book to learn and apply every three years, and with every new iteration of the Code comes new technology designed to protect the consumer. These revisions include increased ground fault protection and more recently, arc fault. More recently still, duel function arc/ground fault requirements. For example your dishwasher used to be fed with a dedicated 15 amp circuit. The breaker ahead of that circuit protected the circuit from over-current (too much load) and short circuit (fault). Now the breaker protecting that circuit must monitor and control series and parallel arcing, ground fault (out-going and return path current), overcurrent and short circuit. You can imagine the complexity of the circuitry inside these breakers to accomplish all of this monitoring. This is still new technology and although it is constantly under revision and correction it is still far from perfect. Older universal motors like what is on your Kirby vacuum cleaner will cause the breakers to trip, certain appliances will cause them to trip at random times. One brand of refrigerator trips the breaker when you open the door. If the prong on the lamp plug is bent and you manage to force it past the tamper resistant receptacle (another recent requirement) the tiny electrical arc between the plug and receptacle will trip the breaker. We have tools to help us to discern the problem but it is still far from easy to nail down the cause of nuisance tripping. The customer can do a lot to help. 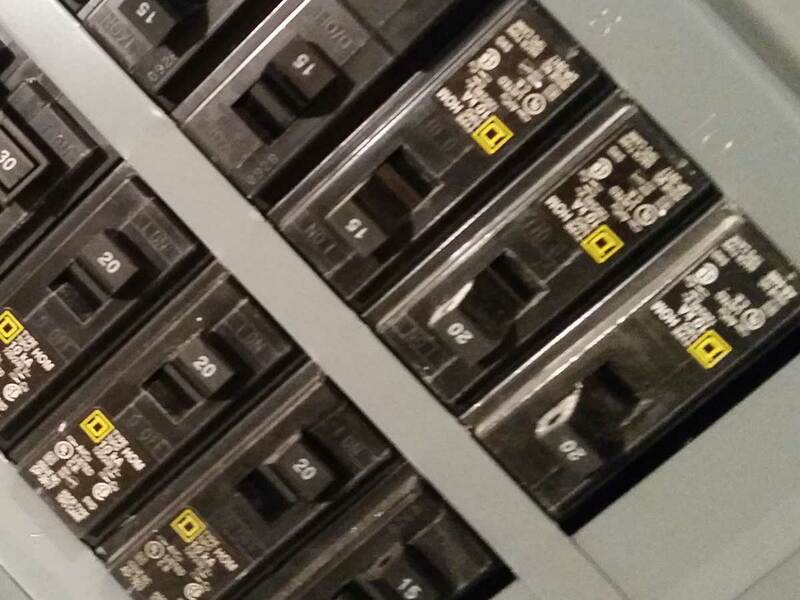 We use Siemens arc fault breakers that are equipped with lights that will indicate the reason the breaker tripped. Record what it indicates at the time of the event. Also pay attention to when the problem started (changes or additions to your home), when it is most likely to happen and what is being used when it happens. No, quite the opposite, you are being protected beyond reason. Please try to be patient and we will all learn to integrate this new and sometimes annoying technology into our homes. Contact us for more information: (970) 493-3027.